Pidgin pop from Nigeria got coined Afrobeats (with «s»). Unlike Fela Kuti’s version, Afrobeats is rather unpolitical, still the most celebrated african party soundtrack. It fuses rhythms and melodies from all kind of genres such as Congolese Soukous, R’n’B, Afrobeat, Coupé-Décalé, South African House you name it and spices them up with local lyrics in pidgin english combined with auto-tune. Artists such as P-Square, D’banj or Wizkid are among the top selling artists in Africa. 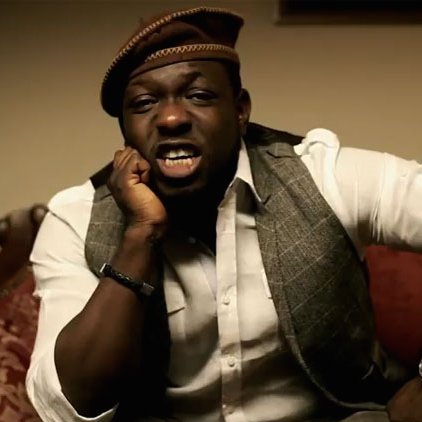 Timaya is another upcoming star from the megacity of Lagos. One of his latest songs is called «Ukuw», meaning waist.